Our busy lifestyles cause us to neglect our need for sleep more and more. We work long hours,we want to do a lot of things besides our work and we are always connected and alert for new messages. We sleep less and less, which has big concequences for our health, both physically and mentally. There are already some products that help you wake up pleasantly and have a good start of the day. I designed a product that tells you when to go to bed. Naturally the daylight affects our biological clock. Your body knows that when there is a lot of light, it is around 12pm. When there is warm orange/red light it knows it’s getting late and starts making melatonin, which makes you sleepy. The screens everywhere around us, confuse our biological clocks. Our body thinks the bright bluish light is daylight and doesn’t know when to make melatonin. Sleepiness doesn’t set in on time and we go to bed late. 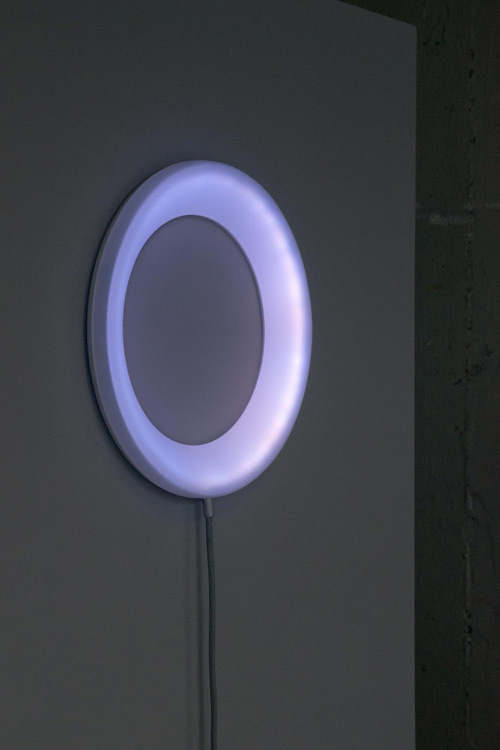 Orbis is a light for the living room that shows the different daylight colors we’re missing during the day. 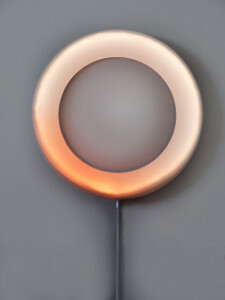 The lamp changes the color and direction of the light, changing perception of time. When it is time for you to go to bed, the lamp starts to “breathe”: the light will fade in and out. You can synchronize your breathing to that of the lamp as an exercise to relax yourself before going to bed. When you set your alarm in the morning for the next day, the lamp calculates when to go to bed to get enough sleep. The lamp anticipates your rhythm with its light. So if bedtime is earlier, the sunset colors will start earlier.